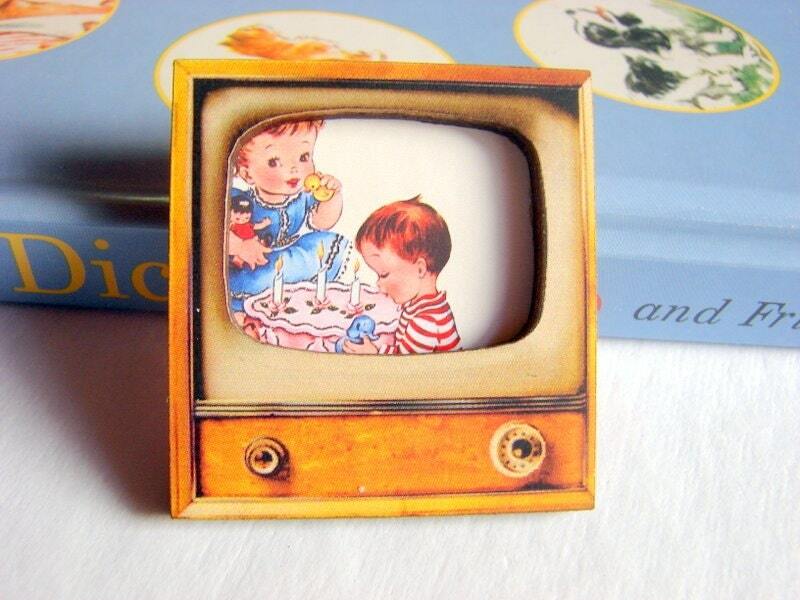 A dimensional paper, wood and chipboard pin brooch - Birthday Party Boy And Girl With Cake - Television TV. An image from a purchased collage sheet is decoupaged onto chipboard (sturdy pressed cardboard), mounted behind a wood TV cutout, then sprayed with a clear finish. This is a medium/large sized pin, measuring about 1 3/4 x 1 7/8", with a standard pinback.